The animals at Pennsbury Manor play an important role in the overall interpretation of William Penn and daily life in 17th century Pennsylvania. They provide a tangible link to our historic past, are an integral part of our educational programming, and are enormously popular with visitors of all ages. 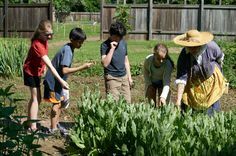 The purpose of the Pennsbury Animal Fund helps to provide for the ongoing care of the ever popular animals at Pennsbury Manor; maintaining existing animal programming and developing new interpretive programming using our living collection of farm animals. Pennsbury Manor’s Animal Program is completely Volunteer operated and is supported solely by the Pennsbury Society, the non-profit 501C (3) support organization and donations by You. Animal sponsors will receive a biography and photo of their animal, as well as up to 3 visits with the animal. CLICK HERE, even $1 goes a long way! Meet “Touch of Class”. Better known as “TC”, she is enjoying her retirement at Pennsbury Manor. At 23 years old, TC came to Pennsbury Manor from the Standardbred Retirement Foundation, a non profit organization whose mission is to place former race horses in suitable homes. Her needs are basic: high quality hay and nutritional senior support, routine veterinarian visits. Your donation of $25 per month will provide TC with one bag of grain, her favorite. Your generous donation of $100 a month will provide her needed hay. To keep TC healthy, Your donation of $65 will provide her needed medications. Your generous donation of $200 twice per year will provide her with routine Veterinarian visits. Meet Bill. Bill is our 16 years young ox and he has definitely earned his retirement at Pennsbury Manor from his years of pulling tree logs out of dense forests of Maine. His needs are fairly simple: hay for eating, straw for bedding, and routine veterinarian visits. Your generous donation of $200 per month will provide all the needed hay for Bill’s great appetite. Your donation of only $30 per month with provide Bill with warm, clean bedding for his shelter. To keep Bill healthy, your donation of only $50 will provide him needed medications. Your generous donation of $150 twice per year will provide Bill with routine Veterinarian visits. Meet The Ladies of the Manor. “Sophia”, one of Pennsbury Manor’s ewes, is a 8 year old Lincoln Longwool with a beautiful black face and shimmering silver wool. She and her flock require good quality hay to eat and clean straw for bedding. They also require routine veterinarian visits. Your generous donation of only $75 per month will provide Sophia with tasty and nutritional food. Your donation of only $50 per month will provide The Ladies of the Manor warm, clean bedding. To keep The Ladies healthy, your donation of only $35 will provide needed medications. Your generous donation of $100 twice per year will provide The Ladies with routine Veterinarian visits. Meet Our Geese. The barnyard girls, featuring “Buttercup” maintain order on behalf of Pennsbury Manor. This task builds an appetite and soft bedding for naps. Your generous donation of only $15 per month will pay for Buttercup’s food. Your donation of only $40 per month will provide warm, clean bedding for Buttercup’s shelter. To keep Buttercup and her fellow girls healthy, your donation of $45 a year will provide them with routine Veterinarian visits. Meet Duo. What we do without mouse patrol in Pennsbury’s Stable? “Duo” our resident feline does a great job keeping the rodent population to a minimum while greeting all visitors to the barn yard. At six years old, Duo’s needs include a dry and wet food diet. He also loves to sleep on towels. Your generous donation of only $25 per month will provide Duo with nutritional food. Your generous donation of only $20 per year will provide him with his favorite sleeping need- towels! To keep Duo healthy, your generous donation of $150 per year will provide him with routine Veterinarian visits. Mouse patrolling is hard work! Our animal family members live at Pennsbury Manor year round. The summers are particularly challenging to keep them cool and comfortable in the high temps. Flies are a real bother. You can help us through your generous donation towards fly repellent and box fans. Please give us a call for details. 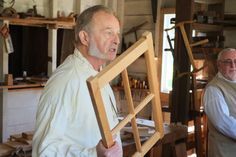 Pennsbury Manor is administered by the Pennsylvania Historic and Museum Commission (PHMC) with the support of the Pennsbury Society, a non-profit 501 (c)(3) organization. The official registration and financial information of the Pennsbury Society may be obtained from the Pennsylvania Department of State by calling toll free within Pennsylvania, 1-800-732-0999. Registration does not imply endorsement.